Definition of multi-level Bill of Material. Bill Of Materials explodes to Indents with proper control. 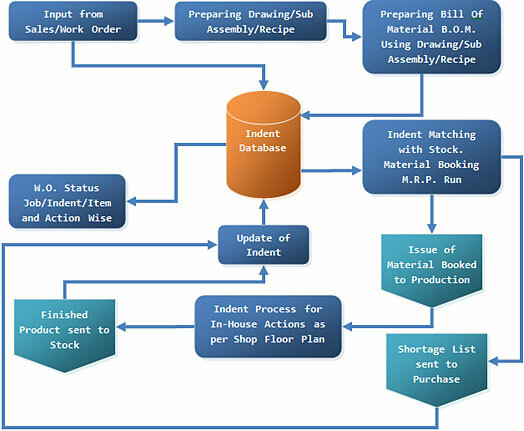 Batch Tracking as per ISO 9000 requirement. Production Forecast with cash flow requirement. 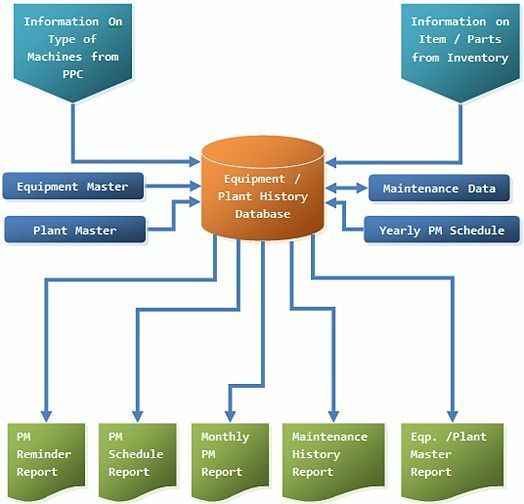 Preventive / Break Down Maintenance with Loss Time and Non Loss Time Identity.